The Spitfire’s ground breaking design incorporated the combination of speed, maneuverability and firepower. This made it a formidable fighter plane and a much loved British icon with its beautiful lines. 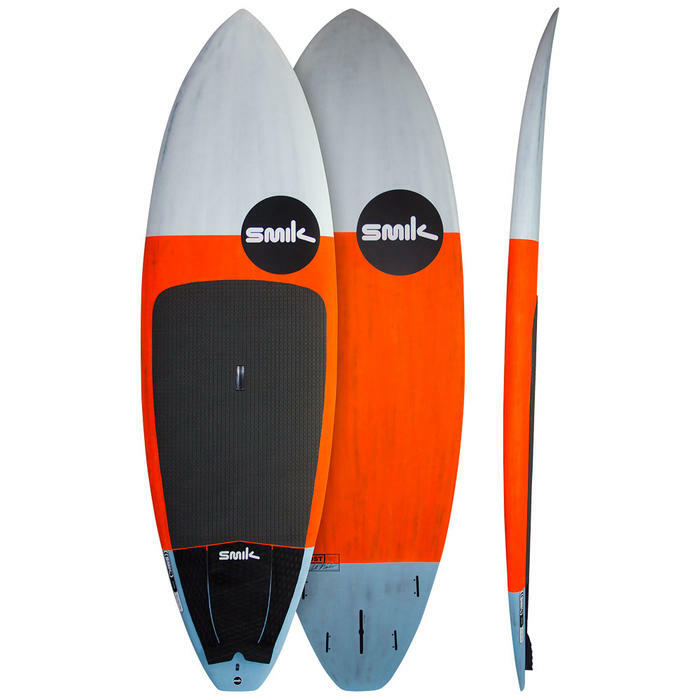 SMIK has adopted the name Spitfire, as these boards carry the same attributes. Beautiful lines that create powerful, tight turns that contain and project speed. The Spitfire has evolved with some subtle changes that have made a considerable difference. The hip in the outline is in between the feet, and the nose is pulled in just right, to make the board as agile as possible without compromising stability. The rocker, a smooth continuous curve, combined with a single concave to double ending with a V in the tail and moderately fine rails results in a fast, driven high-performance ride. Blah blah blah... So what does all this mean? She's smooth and fast, with just a really nice balanced feel from paddling to stroking into a wave and that lovely initiation of rail sensation that doesn't have any hiccups. But then when you push, the performance is there. From generating speed in small little gutless waves, to containing solid groundswells, the Spitfire is a more than capable all-rounder.